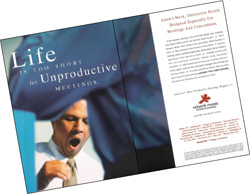 Promote group business for meetings and events. Develop critical communications for local promotions and public relations for hotel chain (24 properties). Support sales efforts to obtain for group business. Develop critical communications for local promotion such as on-premise promotional materials. Public Relations for hotel chain (24 properties). Hotel promotions and public relations efforts helped to offset negative press about Adam's Mark. Importance of timely responsiveness in crisis communication.